FAQs / How do I get ZoomChess to work on my computer? 2. Your computer must be able to play sound. Most of the games, puzzles, lessons, and exercises are narrated by a “talking teacher”. It is designed to be useful for children that might not know how to read. 4. You must have Java, and the right Java. An easy way to find out if you have Java, is to visit //www.java.com. There is a button that reads “Free Java Download”. Directly below that, click where it reads “Do I have Java”. If you don’t have Java, click “Free Java Download”. 5. Let your browser use Java. You may need to tell your web browser that it has permission to use Java. Firefox: go to the Firefox menu – Preferences – General – Add-ons – Manage Add-On – then “Enable” Java Applet Plug-in. Internet Explorer: go to Tools – Internet Options – Security. Click “Custom level”, go down to SCRIPTING and turn it on. Internet Explorer: Click Tools – Internet Options – Privacy – Advanced. 7. Any firewall or filtering software must allow HTTP access to //zoomchess.com and sub-domains of zoomchess.com. 8. 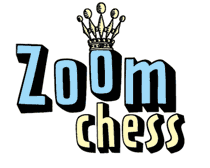 Any parental control software installed on the computer must allow ZoomChess to run.